Part of the sitar-playing Shankar dynasty, Anoushka follows in her father Ravi's footsteps with her unique take on the Indian instrument. With five Grammy nominations under her belt, she first came to notable attention at the tender age of 20 with her first album, making her the first Indian female and youngest-ever Grammy nominee in the World Music category. Continually evolving as an artist, her classical roots have allowed her to collaborate with fellow artists from across the musical spectrum, including the likes of M.I.A, Herbie Hancock, Pepe Habichuela, Karsh Kale, Rodrigo y Gabriela, and Joshua Bell. About Vancouver Theatre: We are an independent show guide not a venue or show. We sell primary, discount and resale tickets and prices may be above or below face value. 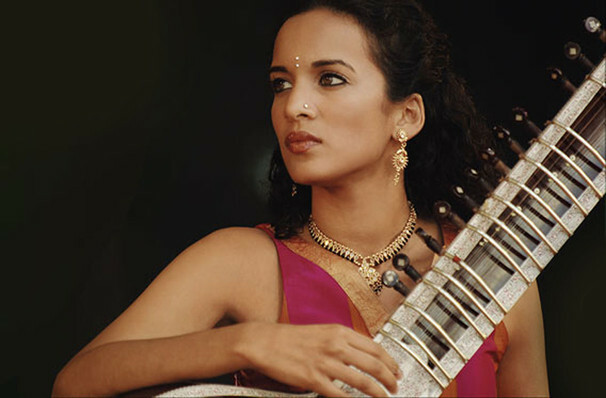 Seen Anoushka Shankar? Loved it? Hated it? Help your fellow Vancouver Theatre visitors by leaving the first review! Sound good to you? 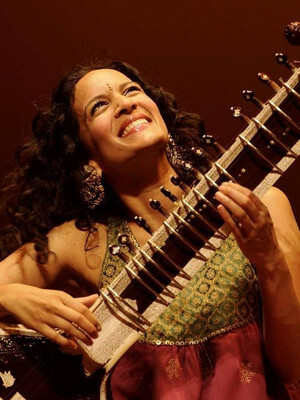 Share this page on social media and let your friends know about Anoushka Shankar at Chan Centre For The Performing Arts. Please note: All prices are listed in US Dollars (USD). The term Chan Centre For The Performing Arts and/or Anoushka Shankar as well as all associated graphics, logos, and/or other trademarks, tradenames or copyrights are the property of the Chan Centre For The Performing Arts and/or Anoushka Shankar and are used herein for factual descriptive purposes only. We are in no way associated with or authorized by the Chan Centre For The Performing Arts and/or Anoushka Shankar and neither that entity nor any of its affiliates have licensed or endorsed us to sell tickets, goods and or services in conjunction with their events.